Are you tired of hearing about the same old career choices.. Have you ever thought of opting for a career which is different from the conventional streams? A food critic is one such stream you may find interesting, that is, if you have a good taste bud and the ability to convert these taste experiences to words. Those of you who have a flair for writing and a passion for food can consider becoming a food critic (food writer / restaurant critic / food columnists). Just like most other offbeat and uncommon career choices, the job profile of a food critic is quite interesting and challenging at the same time. Food critic or food writer is a broad term used to describe a writer who explores food or restaurants and then publishes the results of their findings. Those who share their opinions via food columns in newspapers and magazines are known as food columnists. A food writer/critic is a person who has a strong understanding and taste for good food combined with excellent writing and editing skills. Food critics write about restaurants, ranging from fast food establishments to high end exclusive restaurants, cafes, shops, food manufacturer or other food outlets. They provide thoughtful, descriptive and unbiased information to the public. Critics visit these food joints, taste their special dishes and then make their opinions known to public by publishing them in paper/magazine, Internet, TV or radio. These days internet is becoming more important in forming opinions about restaurants. This job needs you to try out any cuisine or dish you come across, no matter how strange or foreign it may seem, and write your opinion as descriptively as you can. While writing your opinions you should keep in mind that tastes differ among people and what you find enticing may not be considered so by others. Your job as a food critic is to check out the food and help the readers know if they'll enjoy it or not. The role of a food writer or restaurant reviewer is one of great responsibility. This is because most people prefer to read restaurant reviews especially of new places, before deciding whether or not they want to go to that restaurant. Giving an accurate opinion is important, at the same time you should not be unduly harsh in making judgments as your reviews can effect the business of the restaurateur. Becoming a food critic takes time. 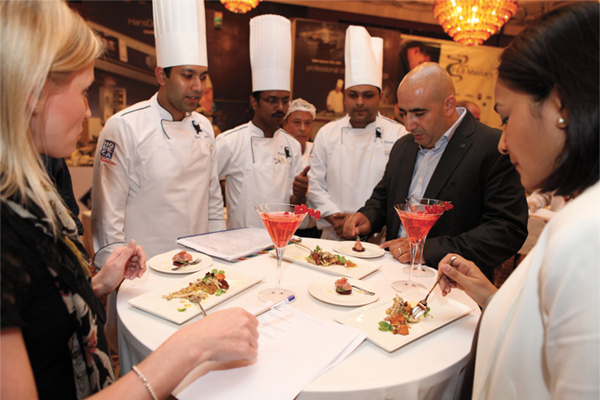 One has to get professional experiences in the world of food, either by attending culinary schools, hotel management courses or working in restaurants or taking up farming food articles, so that they can learn about every aspect of the food industry. It is not only tasting the food that makes a food critic, you should be an expert and have extreme knowledge about every aspect of food, from how certain foods are harvested to the history of various dishes as well as ingredients used in a particular dish and an idea on how it is made even to how a restaurant operates. Professional integrity is very important for food critics. They must make repeat visits to a restaurant so that they can make fair and balanced assessments of its ambience and offerings. More important, he should have exceptional writing skills to convert his experience into words, in an unbiased form. The way you present the reviews determines your success. Food criticism is not only concerned with writing about food, but also a restaurant's service, its ambiance and even other factors that can influence the enjoyment of food. After considering all the aspects of the dining experience, the food critic gives ratings which can be used by readers who are trying to decide whether or not they want to visit a particular restaurant. Food critics could specialize in a particular area or cuisine, such as Indian, Chinese or Italian etc or be a general critic.